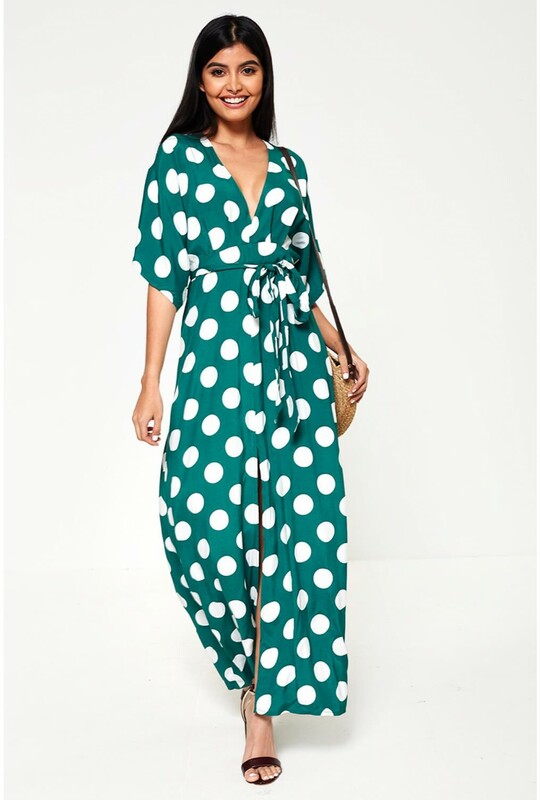 Make an impression in this striking green polka dot occasion maxi dress. Featuring kimono style sleeves and a front kick split, wear with barely there heels and a matching clutch bag. For more contemporary looks browse our premium Boutique collection.